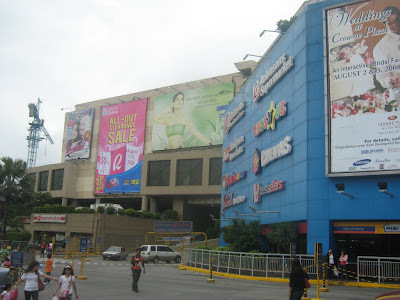 Updates: A total of six injured and one dead in the recent Robinsons Galleria robbery incident. The five injured bank tellers and bystanders are been rushed to the nearest hospital in Ortigas and one guard is in critical condition, Thursday, March 29, 2012, according to the police report. Roderick Reloso is the security guard who is in critical condition. And another security guard named Rodrigo Villa was reportedly dead. According to RLC PR manager Rose Ann Villegas said, the two security guard of PS Bank are in duty to deliver the money to Sanry's Money Exchange, when the time robbers attacked. And there's no report until now if the robbers successfully get the money. And according to some witness said, authorities prevent the public from entering the mall due to the grenade blast happened but they resumed the mall operation by noon except to the crime scene. Meanwhile, PR Manager Villegas said they will give the mall CCTV footage to police for further investigation. Comments or suggestions about "Robinsons Galleria Mall Robbery Updates" is important to us, you may share it by using the comment box below.